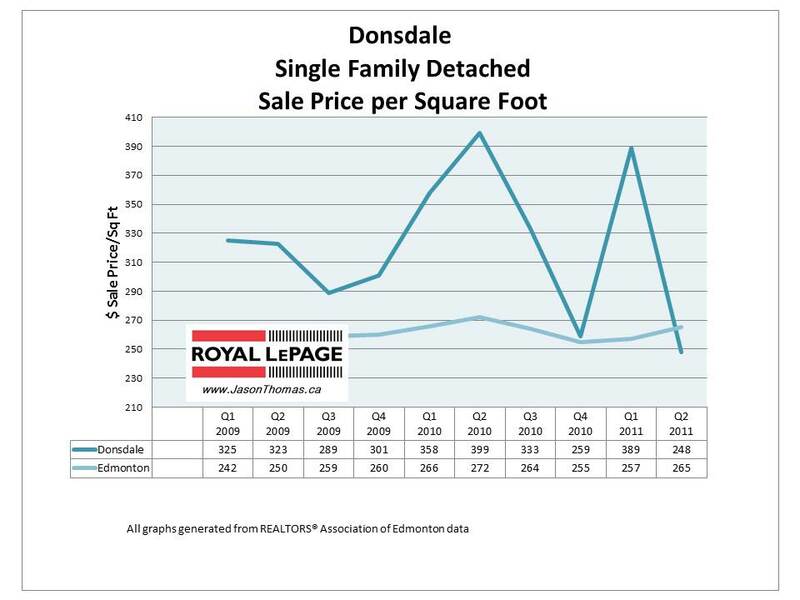 The Donsdale Edmonton real estate average sale price per square foot has been up and down in the last few quarters. Donsdale has had the weakest quarter in the last 3 years on a sold price per square foot basis. The highest sale price recorded in Donsdale in the 2nd quarter of 2011 was $860,000. The average time to sell a home in Donsdale in this time period was 127 days, while the Edmonton average days on market is much lower at 42 days. Click here if you are interested in a no obligation home evaluation on your Donsdale home?